What's next for commercial spaceflight? A decade after SpaceX's Falcon 1 first reached orbit, researchers are studying what's needed to create a sustainable space industry. In the fall of 2008, SpaceX's Falcon 1 rocket made spaceflight history by becoming the first such private launch vehicle to reach orbit. Worldwide launches into space. Orbital launches include manned and unmanned spaceships launched into orbital flight from Earth. Spacecraft launches include all vehicles such as spaceships, satellites and probes launched from Earth or space. A framework of Earth-space operations. I first became interested in this particular problem as I listened to a panel of robotics experts discuss building a colony on Mars (in our third quadrant). You can’t build the structures on Earth and easily send them to Mars, so you must manufacture there. But putting human builders in that extreme environment is equally problematic. Essentially, an entirely new mode of production using robots and automation in an advance envoy may be required. 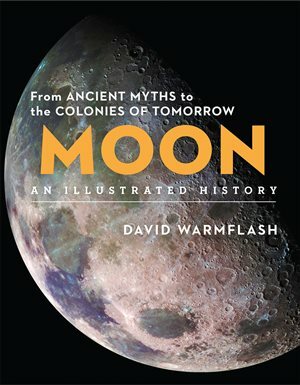 You might wonder where one gets the materials for manufacturing in space, but there is actually an abundance of resources: Metals for manufacturing can be found within asteroids, water for rocket fuel is frozen as ice on planets and moons, and rare elements like helium-3 for energy are embedded in the crust of the moon. If we brought that particular isotope back to Earth, we could eliminate our dependence on fossil fuels. As demonstrated by the recent Minerva-II-1 asteroid landing, people are acquiring the technical know-how to locate and navigate to these materials. But extraction and transport are open questions. How do these cases change the economics in the space industry? Already, companies like Planetary Resources, Moon Express, Deep Space Industries, and Asterank are organizing to address these opportunities. And scholars are beginning to outline how to navigate questions of property rights, exploitation and partnerships. A computer-generated image of objects in Earth orbit that are currently being tracked. Approximately 95 percent of the objects in this illustration are orbital debris – not functional satellites. The dots represent the current location of each item. The orbital debris dots are scaled according to the image size of the graphic to optimize their visibility and are not scaled to Earth. A version of this article originally appeared on The Conversation. Read the original.